The Champions League is, without question, club football’s grandest stage, affording individuals talented enough, and those with the itch for greatness, the opportunity to strut their stuff and seize the moment to become a household name across the world. A platform many covet, but only the best and brightest are awarded, the Champions League is a privilege for the elite to catapult themselves to the forefront and carve out a legacy of their own to last a lifetime. For many, the draw of international football at the World Cup, European Championship or Copa América looms larger, as the burdening weight and pressure one bears donning the shirt of their nation cannot be minimized. The pride and honour of an entire population takes precedence over everything else, but for a certain mystifying Brazilian footballer and devout Christian, it was obvious God had blessed him with club and country success that had proven equally as fruitful over an illustrious playing career. Ricardo Izecson dos Santos Leite, or simply Kaká, forever holds a place in the hearts of the beloved AC Milan supporters for all he was able to accomplish in the famous red and black shirt. A simple search of the subject and his vast list of achievements paint a picture of excellence Kaká and the Rossoneri collaborated on from the moment he first set foot in the fashion capital in 2003, as a shaggy-haired starlet from São Paulo, up until his astronomical Real Madrid switch in 2009. The pit stops that would follow his departure from Italian soil cease to break the airtight bond between a club icon and his millions of supporters who share identical red and black DNA. Mesmerizing with one awe-inspiring exhibition after another en route to the summit of the beautiful game, every individual and team accolade imaginable rests on his mantle. Yet it was a career-defining performance under the illuminating lights at Old Trafford that fully encapsulated all this Seleção star was capable of at the peak of his powers. By the time the 2006/07 Champions League rolled around, Kaká had emerged as one of football’s best under manager Carlo Ancelotti. Top to bottom, Milan were brimming with talent and had a slew of stars few, if any, could rival on their teamsheet. But there is something special to be made about the manner in which the “Smoking Bianco” took on the lead role for the Rossoneri throughout the campaign and etched his name in European football lore. The 2006/07 Milan season was a blockbuster film, stacked with A-listers, a strong supporting cast and a compelling story with the potential to sweep at the award ceremony in Athens. Out of all the entrants to partake in the festivities of that European campaign, none were as special or captivating as Kaká. As the focal point of Ancelotti’s attack, the Brazilian operated in several roles in order to have the biggest influence possible. Whether it was dropping into the midfield, creating as a pure playmaker or supporting poaching number nine Pippo Inzaghi as a secondary striker, Kaká would not be contained. A date between two devilish outfits, the semi-final stage was set between Milan and Manchester United, with the first of two legs taking place at Old Trafford. Entering the tie, Kaká had tormented just about every opponent in his path, victimizing with his blistering pace, scintillating dribbling ability and knack for gliding effortlessly about the pitch. Capping off powerful runs with finesse, flair and a say in the goal-scoring efforts of the Rossoneri were common practice throughout a tournament in which Kaká led all in scoring with 10 goals and second in assists at five. But when Milan were trailing the Red Devils early in the first leg, he shifted into overdrive and refused to let his side suffer further heartbreak at the hands of an English power. In the 22nd minute, Clarence Seedorf strung a ball to Kaká who accelerated past Gabriel Heinze with sheer ease, controlled the ball in stride at the edge of the box and finished his run with a cool, left-footed finish towards Edwin van der Sar’s far post. Momentum had swung back in favour of i Diavoli and there was renewed hope to be taken from the Brazilian’s solo brilliance. Even with Cristiano Ronaldo, Wayne Rooney and Ryan Giggs ambushing Milan keeper Dida with a flurry of dangerous chances, Kaká’s ability to coast freely into United’s final third and get a steady share of ball opened the door for the eventual Ballon d’Or winner to leave all who purchased a ticket stub in awe, regardless of affiliation. In the 37th minute, Kaká mauled the long ball played in from the midfield and fended off a latching Darren Fletcher to win initial possession instinctively with his head, but that was just the first of several tricks up his sleeve. A flick on his right to beat Heinze inside forced Patrice Evra to close down, only to induce a ‘crash and burn’ effective between the two defenders with another header before Kaká strolled into position to bury another past van de Sar. It was pandemonium at Old Trafford as Kaká’s ingenuity and solo brilliance had yet again delivered the travelling Milan supporters another moment of pure ecstasy. Although the final result had Manchester United ahead on aggregate 3-2, do not let the scoreline fool you into thinking that Milan were down. Kaká’s individual efforts would be the reason his Rossoneri returned home to the friendly confines of the San Siro for a 3-0 second leg win, with a vengeance and desire to reverse the tie so their revenge mission of Champions League glory over Liverpool could be realized. 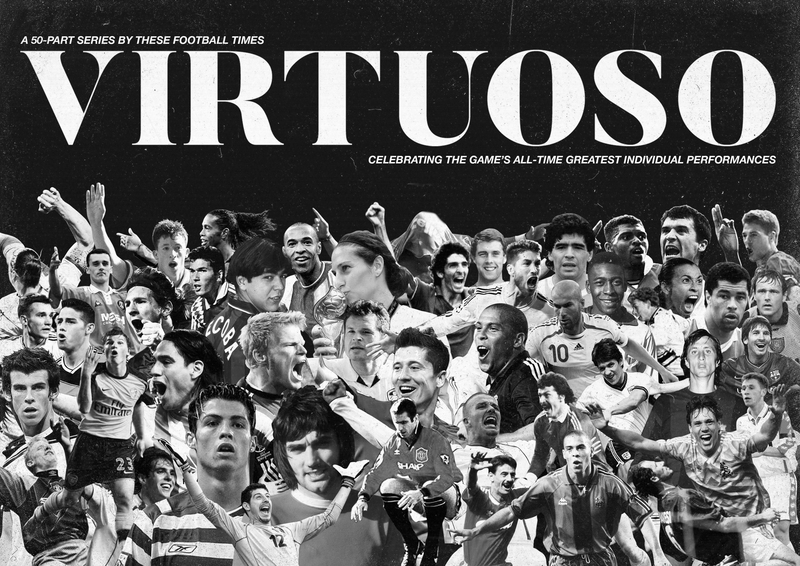 Woven into the fabric of every proud Milanisti is the crest of a European elite. Unrelenting in signing his praises and basking in each touch of the ball, for a moment of magic was near, supporters savoured Kaká’s every move, appreciated all the memories he would deliver during his stay at the San Siro and understood just how unplayable he truly was in his prime. “For two or three years, he was the best player in the world,” explained Andrea Pirlo after his teammate left for Spain. 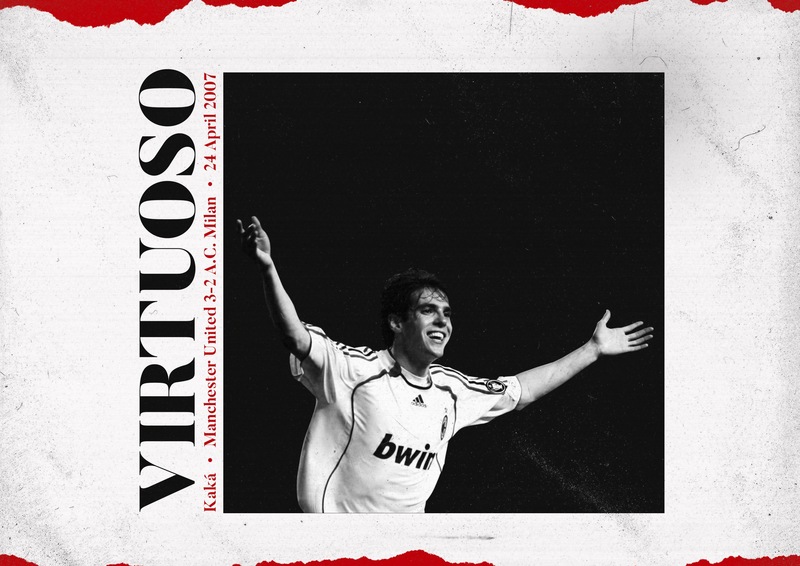 “There was a point when teams just had no idea how to stop him.” As the story of the 2006/07 Champions League semi-final affair shows, the suave Italian regista was not exaggerating and, for Manchester United, they were made to learn that the hard way.